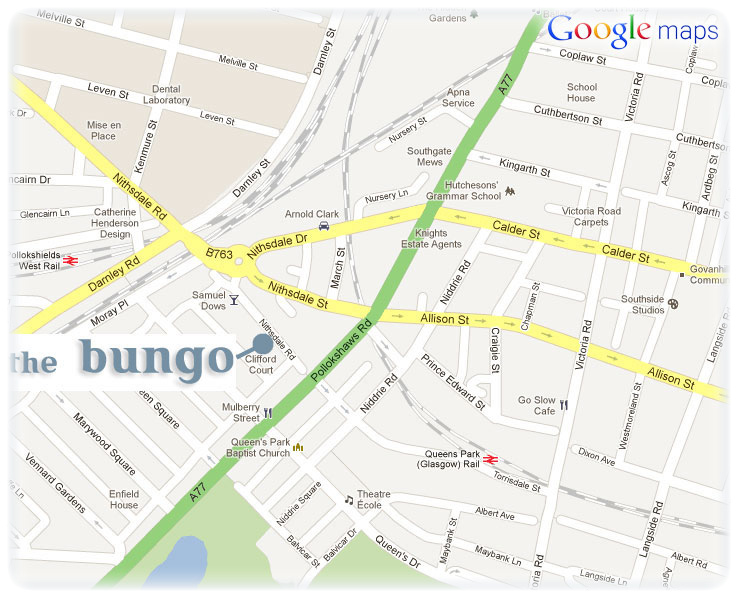 the bungo, located at 17-21 nithsdale road in strathbungo, glasgow, g41 2al - in the heart of the southside. access: the bungo is accessible from street level without stairs and has bathroom facilities for disabled users. open every day: 10am 'til midnight.